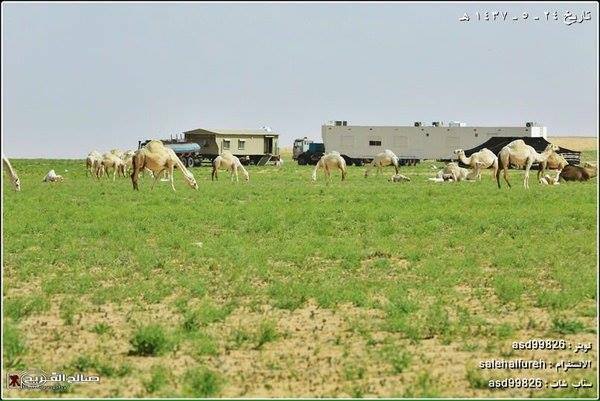 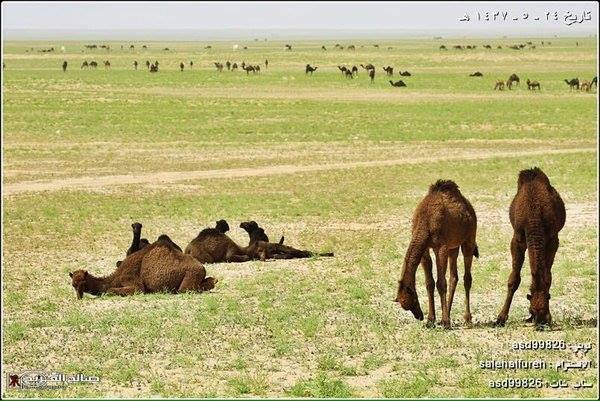 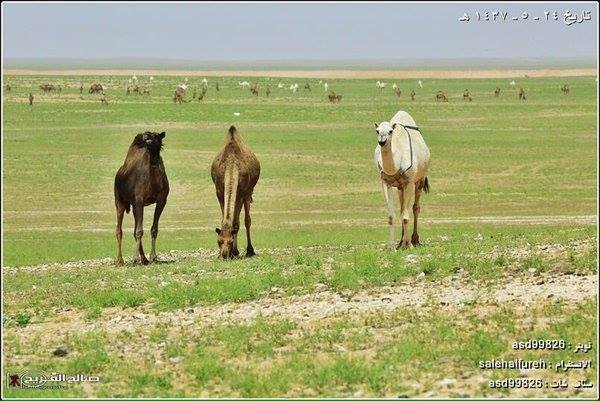 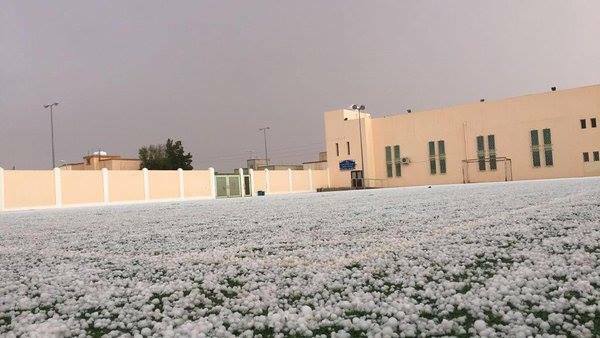 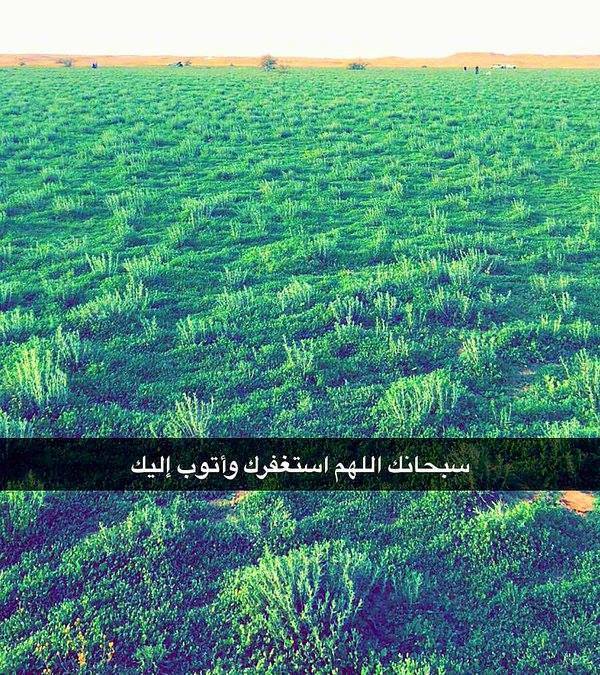 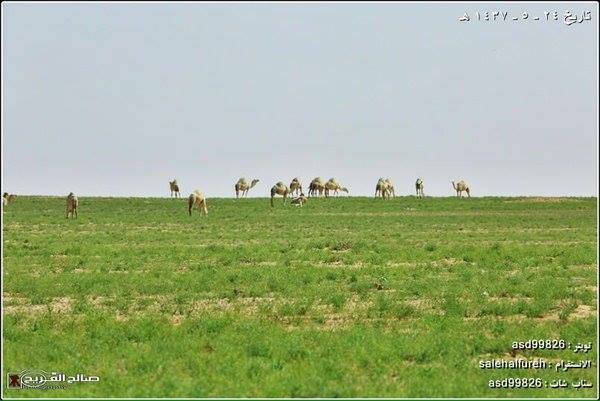 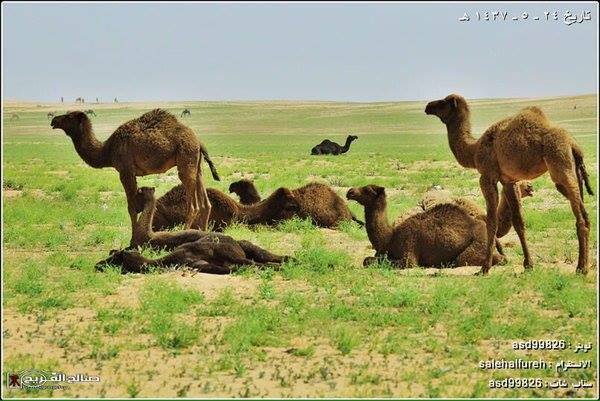 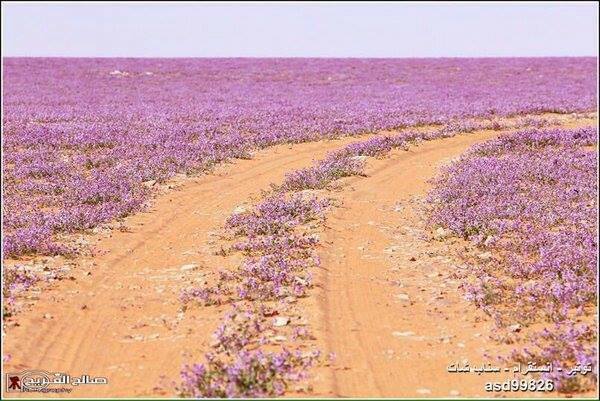 A beautiful phenomenon is currently spreading in the desert around desertic and dry Rafha, Saudi Arabia. 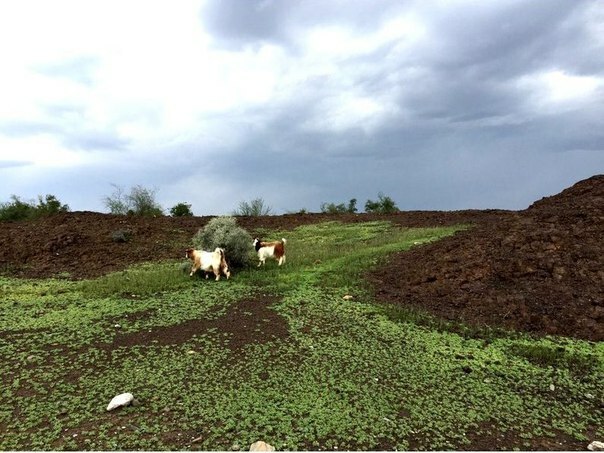 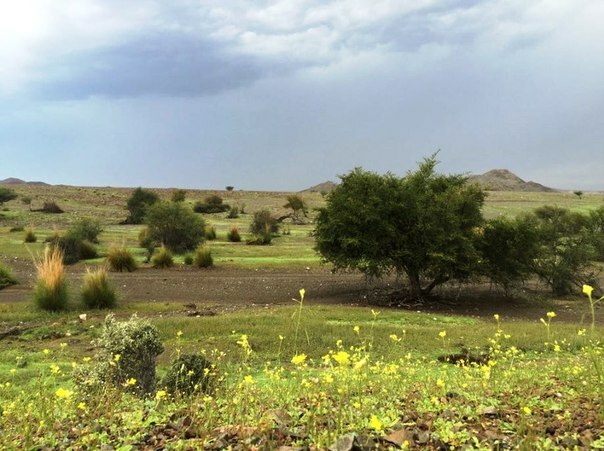 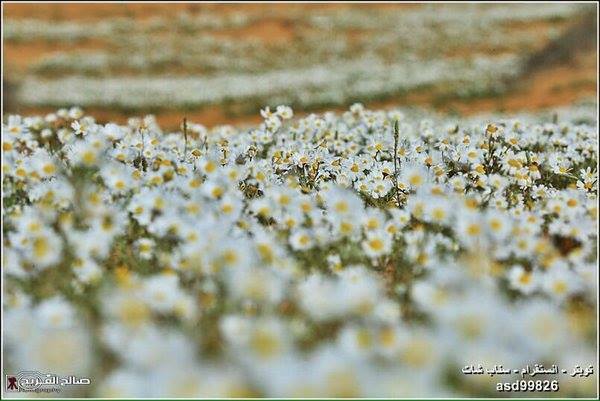 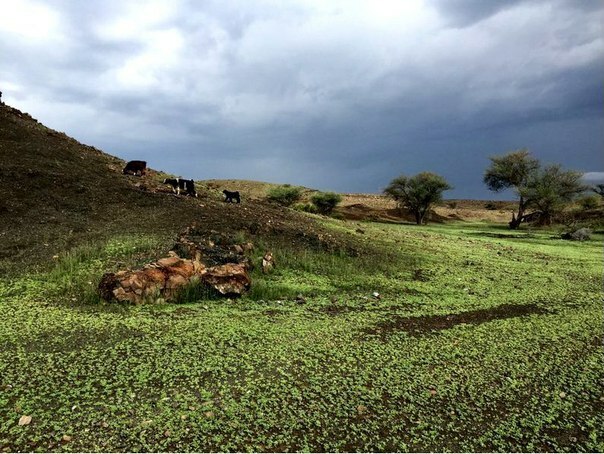 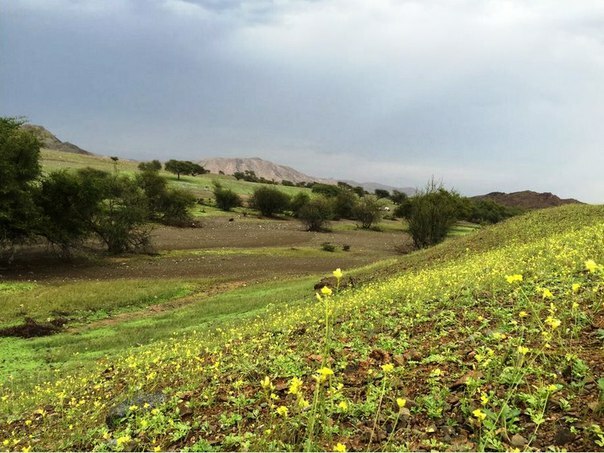 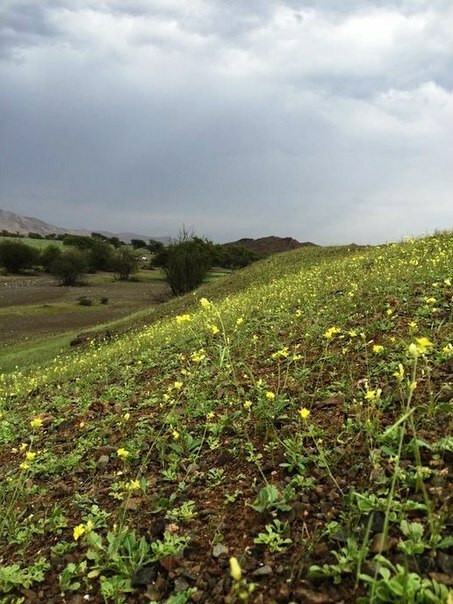 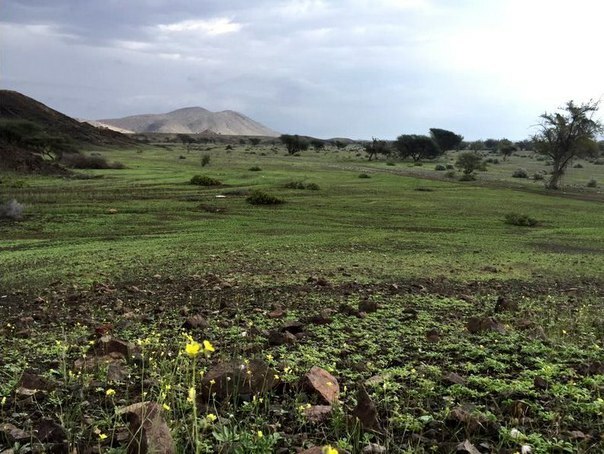 The unusual rain, hail and snow brought by the extreme El Nino since the beginning of 2016 have permitted flowers to spread over the desert. 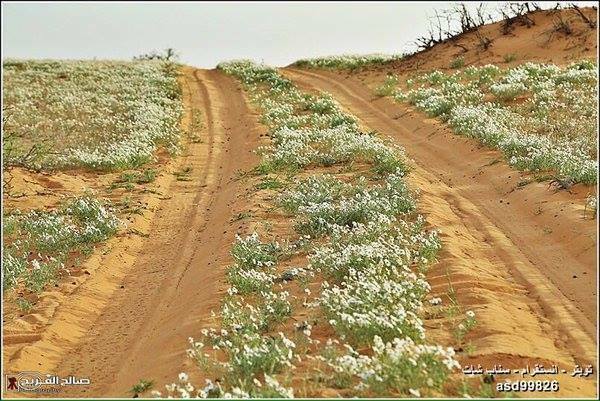 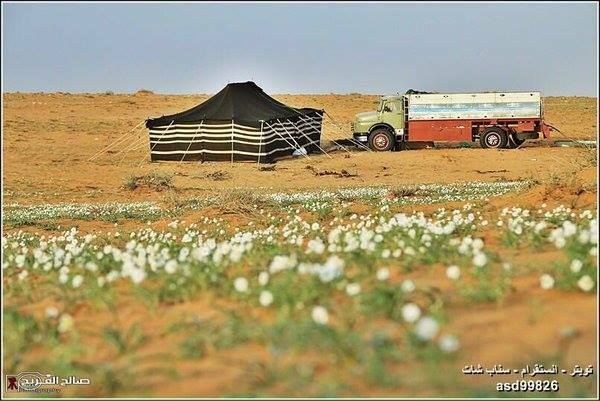 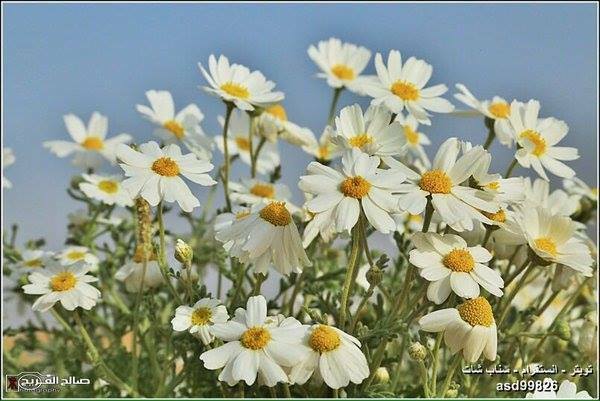 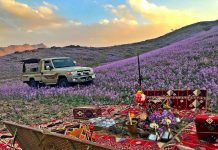 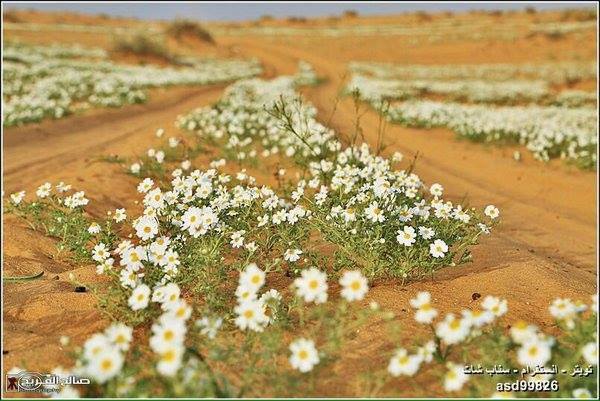 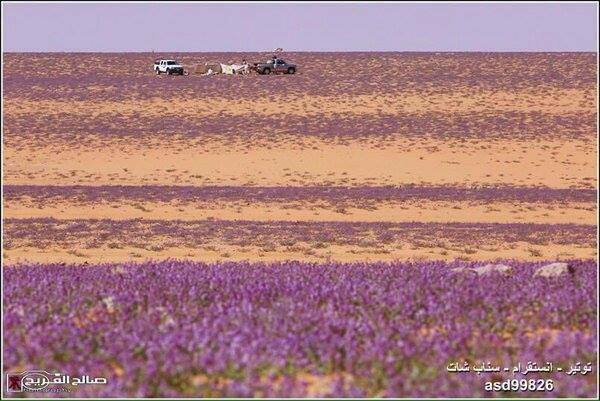 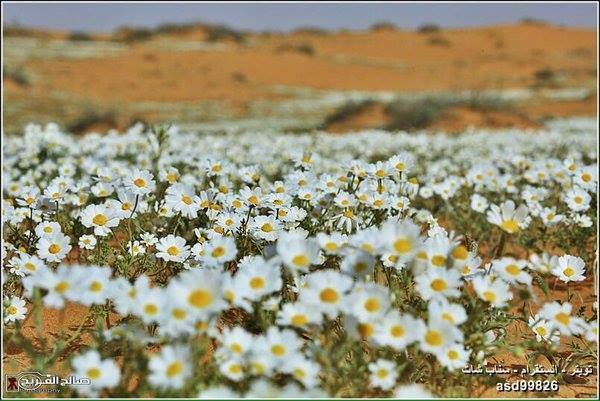 Watch awesome pictures of this blooming and flowering desert below. 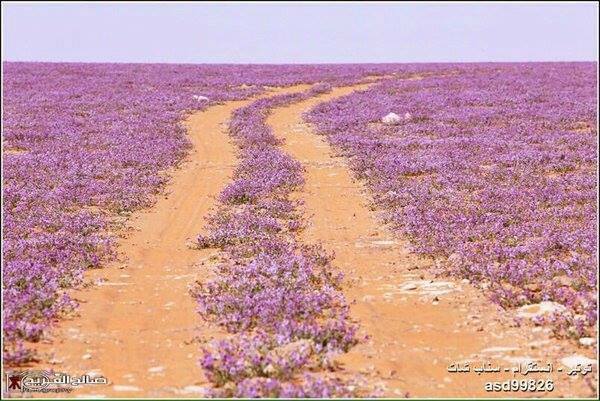 Nature will never cease to surprising me. 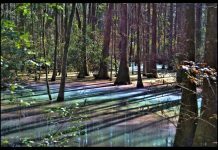 Ever seen such an awesome phenomenon?